Here is our salute to the "good old days". 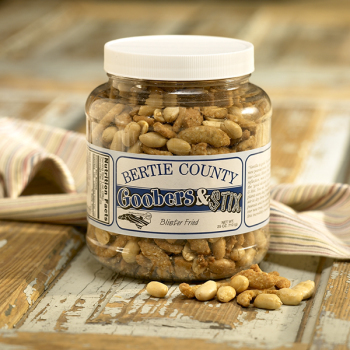 Goobers are an old fashioned word for peanuts and stix represent the poles that peanut vines used to be stacked on for field drying. Our Blister Fried Peanuts and sesame sticks recipe yields an incredible, crunchy snack. There is almost no better snack than Goobers & Stixs ... it's the perfect combination. Just the right mixture of peanuts and seasame sticks for grabbing a handful any time! These are the best goobers and sticks around. Always fresh, delicious, and promptly delivered. Along with a large chocolate covered jar, gave these to friends who devoured them. Great for game watching or any munching anytime! 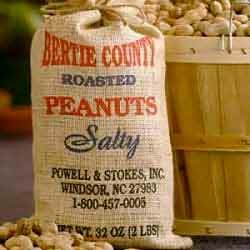 I'm a big fan of all your peanuts - not so much this new venture - not as much flavor as the others. They're ok for a very mild taste. These are the best nuts I have ever had, I buy them as gifts for my father every year!! The service is outstanding and it seems like overnight delivery. We loved the mix of spicyness and sweetness of the natural peanuts! The shipment was an excellent choice for a Grandparent's Gift. Love the quality of products you offer and the recipients were very pleased. Even my granddaughter knows quality when she tastes it...best peanuts and "sesame streets" you could want. My wife loves these. The stix and peanuts are a great combination and both are very fresh. The Goobers and nuts are so good, great snack at work. I have all my co-workers hooked on them.......delicious! Very good mix of peanuts and crunchy sesame. Very good mix of flavors and you can easily taste them both. This is good stuff! Love the mix! You can't beat this snack! Everyone I gave the Goobers and Styx to loved them!!! Thank you. Will order again!! Great snack anytime. Plan to buy a larger size next time. 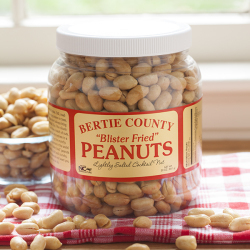 We enjoyed many orders of the Bertie County peanut products over the past few years. Our Yankee friends love them too. Our favorites are the Goober and Stix, Peanut Brittle and the Goobers and Kicken Stix. But all are great tasting....good value...fast shipping. Mr. Jim McGee introduced me to you all about 2001 and I have eaten your blister fried since. Wife loves the Goobers and Stix. 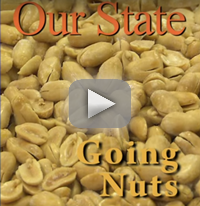 NOWHERE are there better peanut products! Love the crunchy blister peanut! My favorite! Excellent service!